DotA Theme Manager allows you using different terrainsets in DotA without using a different map. 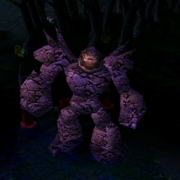 This works by replacing the textures/models in your MPQs - WC3's Data files - itself. It will not only change DotA's Terrain (where it has no glitches), but also other maps. In other maps, it will look quite bad, so this is more useful for DotA. While it strongly changes the appearance of the map, it does not change anything of the gameplay - the changes are of PURE visual nature and the process is easily reversible. Also, the changes are only local. How to install the Theme Manager? 1. If you have beachpack installed, restore to original (if you can't, it won't be too bad afaik). You would have exchanged your War3Patch.mpq in this case and should have a backup (with lower filesize). 2. Unpack the file IN your warcraft folder - in most cases C:\Program Files\Warcraft III. 3. DO NOT move or rename any of the files you unpacked. The path must be: "\Warcraft III\DotA Theme Manager V2\"
4. If you want it on your desktop, create a shortcut of the exe file. 5. make sure both your WC3 and your World Editor are closed! 1. Close your warcraft AND warcraft world editor. Else it does not work! 3. Select your favourite toolkit. If you select one, it will always be activated unless you change it! 4. Start WC3. Whether you start it out of the program or not is not important. Other maps might have a (visually) screwed terrain - I suggest you to use "original" when playing something different than DotA. For Detailed Installation, usage and FAQs visit this link. when i extract it erros will show " Access Denied "??? are we able to switch it back to the original terrain?? there's no change..pls help me how ..
it wont extract in the warcraft folder.. wat would i do? guys i huv the wc3 on a flash so0 what should i do?? thanks for the Dota theme manager.. i'm looking it everywhere.. Select your favourite toolkit. If you select one, it will always be activated unless you change it! i can;t select any wtf mana !? Thx u ! can u make another terrain ? HI!!! I LOVE DOTA, FOREVER in eVeR!!!!! this theme only work for win XP doesn't it?! nothing happened !!!!!!!!! damn thing!! !